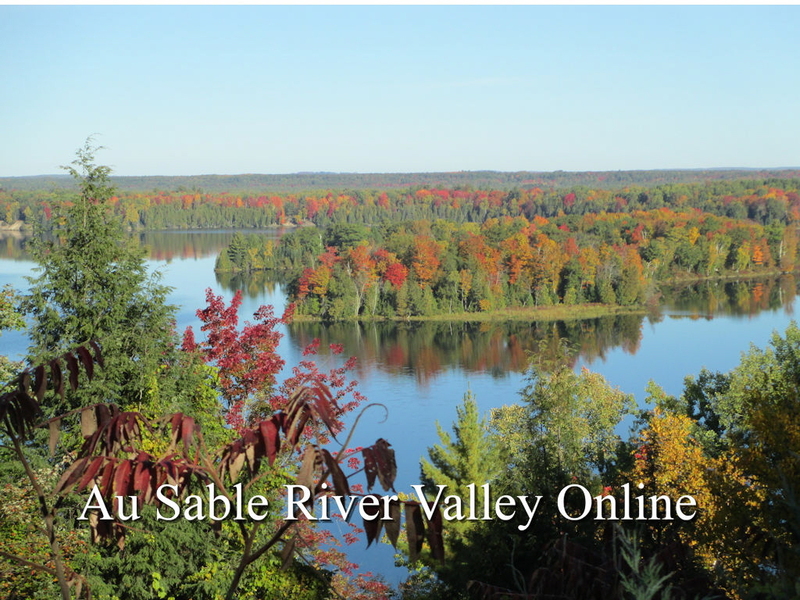 The Au Sable River Valley Wineries & Vineyards Tour is 236 miles in length with a driving time of 5 hours. Please take a designated driver with you if your are planning to sample the wines and multiple wineries and vineyards. There are many fine restaurants along the way where you can stop and eat. Check them out: Dining Out. A. This tour begins in front of the Police Department on the corner of River Road and US-23 in Oscoda, Michigan. Travel north on US-23 for 16.1 miles to Harrisville, Michigan. B. Modern Craft Winery Tasting Room, 250 US-23, Harrisville, MI 48740 is located on the left. Travel north on US-23 for 32.4 miles. Turn left on Chisholm St (US-23) for 0.1 miles. Turn right on N. 2nd Ave for 91 feet. C. Thunder Bary Winery, 109 N. 2nd Ave, Alpena, MI 49707, is located on the left. Head toward Park Pl on N 2nd Ave 462 feet. Turn left onto Carter Street 0.1 miles. Continue on N 3rd Ave 351 feet. Turn right on W. Chisholm St (US-23) 2.1 miles. Turn left on French Road 1.4 miles. Turn left onto Truckey Rd 0.4 miles. Turn left 137 feet. D. Stoney Acres Winery, 4268 Truckey Rd., Alpena, MI 49707, Head toward Truckey Rd. 137 feet. Turn right on Truckey Rd. 0.4 miles, Turn right onto French Rd 1.4 miles. Turn right onto US-23 N 0.7 miles. Turn right onto Long Rapids Rd 1.0 miles. Turn left onto N. Bagley St. 1.2 miles. Turn right onto M-32 30.3 miles. Turn left onto M-33 19.4 miles. Turn right on E Miller (M-33, M-72) 3.6 miles, Continue on S Morenci Ave (M-33) 16.1. Turn left on E. Main St. 0.5 miles. Turn left onto Beechwood Rd. 0.1 miles. Your destination is on the left. E. Rose Valley Winery, 3039 Beechwood Rd. Rose City, MI 48654. Head toward E. Main St. in Beechwood Rd 0.1 miles. Turn right on E. Main St 1.0 mile. Turn left on Townline Rd 0.4 miles, Your destination is on the left. H. Modern Craft Winery , 2760 E. Booth Rd., Au Gres, MI 48703. Head toward S. Santiago Rd on Booth Rd. 0.4 miles. Bear right on Santiago Rd 3.2 miles. Turn right onto W. Huron St (US-23) 36.7 miles. You have arrived back in Oscoda where your trip began.